Amritsar Sahib – Panthic pressure has finally built up against Ragi Darshan Singh, whose latest public tirades against Sri Dasam Granth have deeply hurt Sikh sentiments. After receiving a barrage of complaints from the Sangat abroad documenting the Ragi’s latest blasphemous remarks, Sri Akal Takht Sahib summoned the controversial Ragi to appear at the Apex Takht on December 5th of 2009 at noon time for violating Panthic edicts. Additionally, Sri Akal Takht Sahib has instructed the Sikh Panth to not allow the Ragi to utilize any Panthic stage or platform, until he appears in front of Sri Akal Takht Sahib and clarifies his stance on Sri Dasam Bani. Numerous Gurdwaras and Panthic institutions across North America have expressed outrage over the villainous attacks the Ragi has made against Sri Dasam Bani last month at a New York Gurdwara. The Ragi went to the extent of stating that Sri Dasam Bani documents a sakhi in which Guru Gobind Singh, in disguise, visits a harlot and states that Guru Sahib was then beaten up when he was caught. He further stated that, Guru Sahib Ji escaped the scene leaving his clothes behind. Darshan Singh alleged that this was all documented in the 21st, 22nd, and 23rd charritars in Sri Dasam Granth. The Ragi has been speciously stating scholars such as Dr. Jodh Singh (PU), have also done similar interpretations in their works. Dr. Jodh Singh (Ph.D), a Professor of Sikhism at Punjabi University Patiala, is the author of Encyclopedia of Sikhism, and has published a Hindi and English translation of the Sri Dasam Granth. To set the record straight, Dr. Jodh Singh, in a publicly released statement, repudiated the claims of Darshan Singh and stated that in those charitars that the Ragi is referring to there is not a single mention of Guru Gobind Singh Ji being the raja in that story. 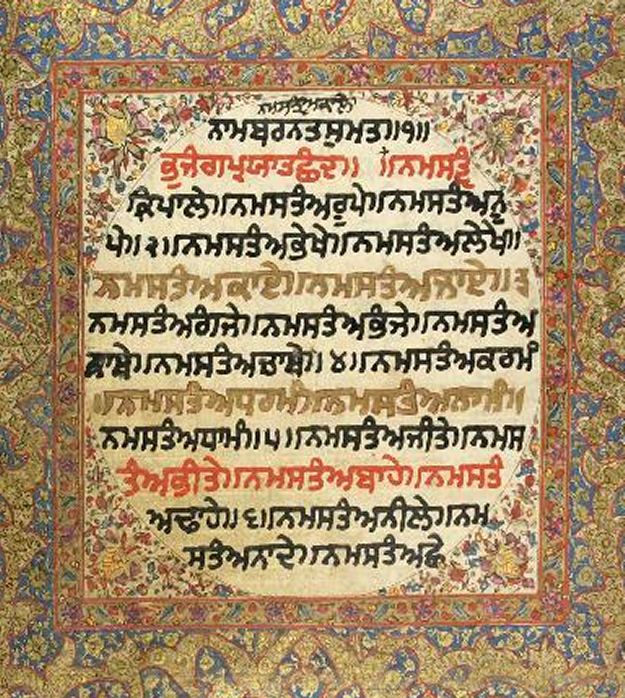 Interestingly, another Kala-Afghani protégé, Harjinder Singh Dilgeer, recently made similar statements on a Canadian radio talk-show, despite the fact that the famous Sikh scholar Sridar Kapur Singh IAS (National Professor of Sikhism) explained all the detail of this charitar in his article (ਕਿੱਸਾ ਰੂਪ ਕੌਰ ਦਾ) http://www.panthic.org/articles/3873. It needs to be stressed that the Ragi has continued to make disparaging remarks against the Bani contained in Sri Dasam Granth Sahib despite the various HukamNamas and Sandeshs forbidding such criticism; yet he continued to flout them openly. The decision to summon the Ragi was made by the Five Singh Sahibans after carefully reviewing his disparaging attacks on Sri Dasam Bani. For the last few years, dozens of Panthic organizations have been requesting Sri Akal Takht Sahib to take strict action against the Ragi for hurting Sikh sentiments and disobeying the edicts of the Supreme Authority of the Panth. Recently, on an on-air debate on JusTV, the Ragi was asked to clarify his remarks and provide any evidence that supported his blasphemous comments. In the debate, with the respected editor of Sant-Sipahi magazine, Sardar Gurcharnjit Singh Lamba, the Ragi miserably failed to support his position, and instead humiliated himself on live TV in front of thousands of viewers. Sardar Gurcharanjit Singh Lamba gracefully chastised the Ragi for distorting Sri Dasam Bani and misleading the Sangat. The entire debate can be viewed at : Controversial Ragi Prof Darshan Singh talks about his blasphemous remarks on JUS Punjabi TV (external link). Great news for Khalsa Panth. Every dog has his days. Heretic ragi thought he was invincible. Having money at his disposal and satge provided by another heretic , PARAMJIT SINGH SARNA, Ragi thought he could change history of Khalsa Panth. But he should have known that it is truth that prevails in the end. My many thanks to all those Gursikhs who played a role in taming this srunken bull. That includes Panthic weekly also who has stood for Sikh values all along and exposed this Gurnindak from time to time. May God bless these Gursikhs. Lastly we have to continue our struggle for exposing these Gurnindaks one by one. Missionaries are among them at top. An ordinary person can see that you people are presenting one sided story and propagating falsehood. Even Gurbachan Singh has been proved to lie from our holy Akal Takhat Sahib. He has not written any where in his letter that Ragi should present himself in their secretariate. Every Sikh now knows that he has not uttered any word against our tenth Guru. Your site is harming the Panth by deceit and lies. I wish the Almighty Waheguru give you some sense. You seem to be ignorant of protocols of akal takhat. The accused he has to appear in front of jathedars inside their meeting room. That is what is being followed since beginning. That is what ragi himself was doing. He was also holding meetings at his home. The fact is that ragi knows he is guilty and he does not have courage to face jathedars.Heretics always lack morals and confidence as their arguements are based on lies and deceit. If he was not a liar he would not write himself a professor when he is 10 grade.